Lately, we’ve been discussing right and left, especially when we go on our evening walks around the neighborhood. To help my daughter learn her left and right, I decided that she needed a visual that she could see daily so that she can review the concept herself. 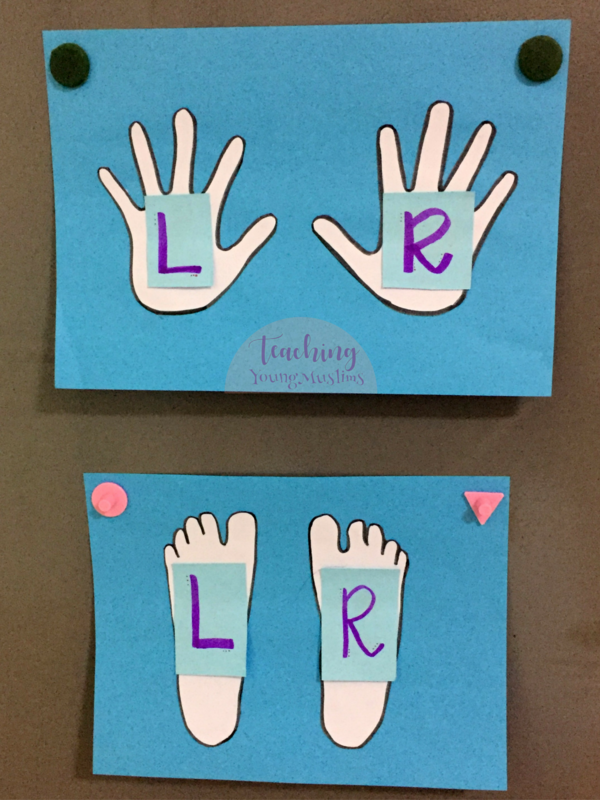 We traced her hands, labeled them with a big “R” and “L”, and put them on the fridge. 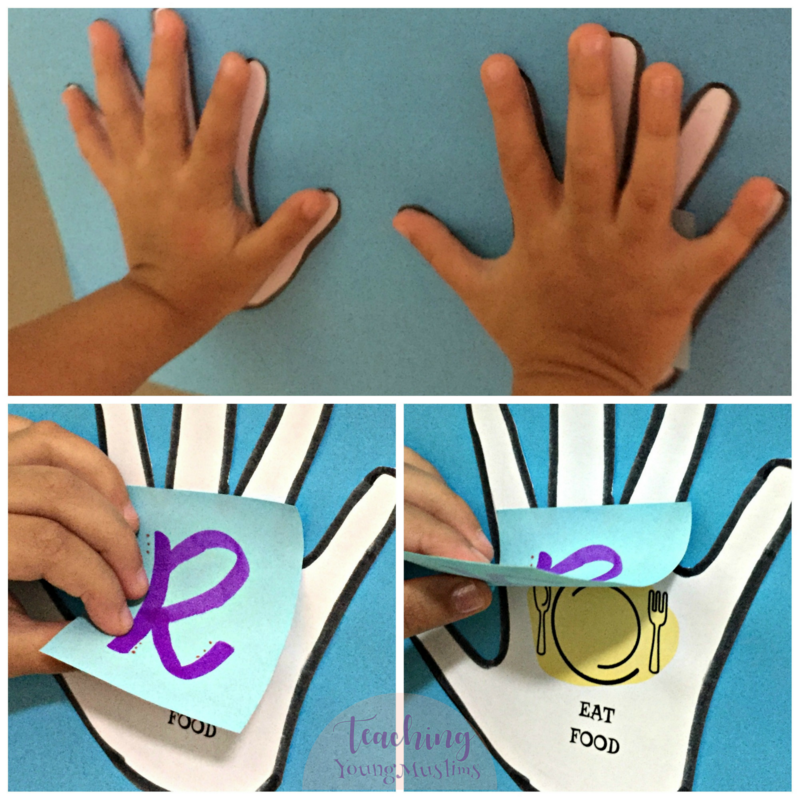 She can come to the poster and put her hands on the traced hands so that she can see which one is her right hand and which one is her left hand. On another paper, I traced her feet so that she can use that the same way. To take it one step further, we labeled each hand with it is used for. For example, the right hand is used for eating, and the left hand is used to wash oneself in the bathroom. The feet were a little bit more complicated to label with pictures, but I labeled them with arrows to show entering and leaving the bathroom, and entering and leaving the house. Now every time she sees the poster, she puts her hand on it and yells out which hand is her right hand and which hand is her left hand. She also loves to lift the flaps to peek at the pictures. If you enjoyed this – let me know! Did you find this useful? If you don’t want to miss out on any future posts – subscribe to receive all posts by email on the side! You can also like my page on facebook and instagram. All the links are on the side! Previous PostThe Curtain of GhaibatNext PostAllah (SWT) LOVES me!